On Saturday, December 9, two special Envoy charters from Killeen-Fort Hood (GRK), Detroit and Pittsburgh, along with multiple mainline charters brought children from across the United States to Dallas-Fort Worth (DFW) for this year’s Snowball Express celebration. Presented by American Airlines, Snowball Express provides an all-expenses-paid vacation for Gold-Star families of fallen U.S. service members. During their time in DFW, families participate in a wide range of fun activities, including a private Lt. Dan Band concert; visits to Fort Worth attractions including the Stockyards and the Museum of Science and History; and a special Walk Of Gratitude parade. 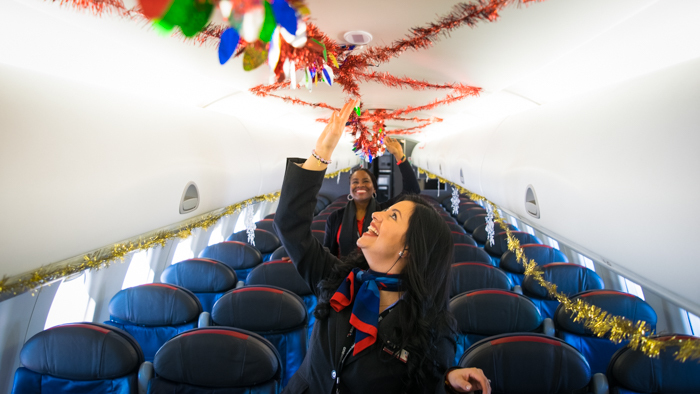 Early on Saturday morning, volunteers from Envoy decorated two Embraer-175 (E-175) jets with garland, stickers and snowflakes to add extra cheer to the families’ flights. Before boarding the flight to DFW, families in GRK enjoyed festivities that included face painting, video games and photos with Santa Claus. Also in attendance were local first responders, veterans, volunteers and Killeen city officials. 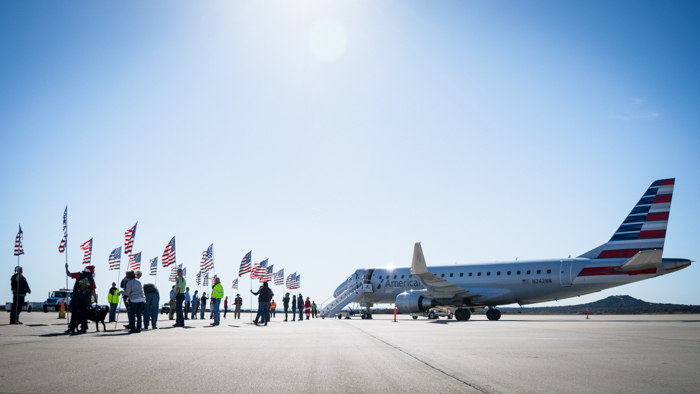 At the time of boarding, volunteers gave an emotional send-off by making a tunnel of U.S. flags leading into the aircraft. One by one, each family walked across the ramp to the aircraft receiving cheers and high-fives as they embarked on their journey. 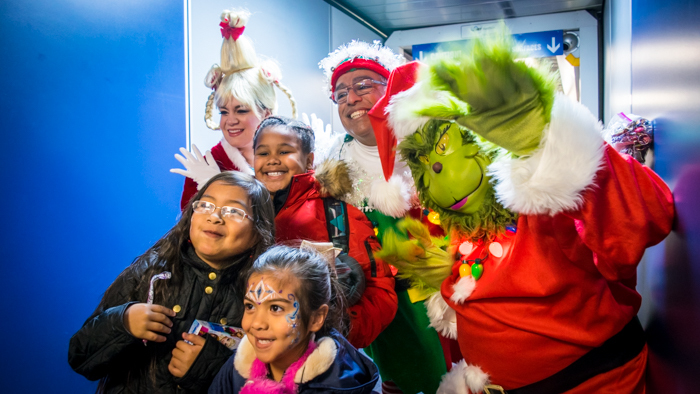 After a short 25-minute flight full of Christmas carols and candy canes, the families arrived at DFW to a roaring celebration packed with games, music, food and even the Grinch! Every year, Envoy looks forward to supporting Snowball Express and provide a special Holiday celebration to these very special families.